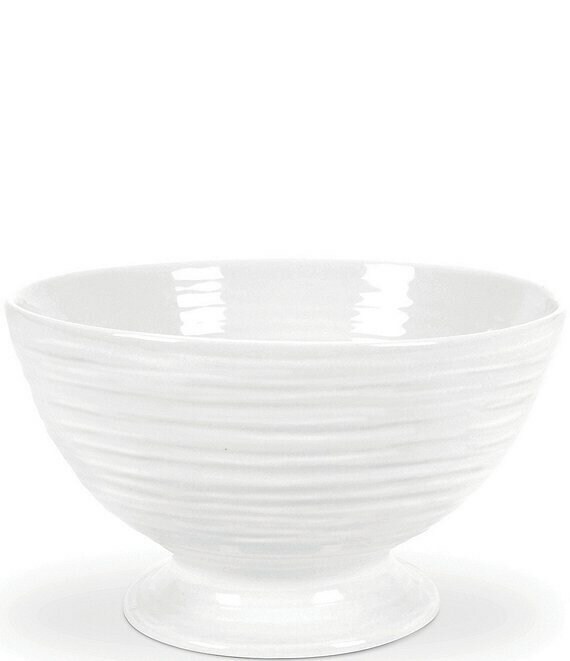 Designed by Sophie Conran, this footed bowl features a timeless and elegant design. Winner of the ELLE Decoration Award for Best in Kitchens. Approx. 5.5 x 3.25". Made of porcelain; dishwasher, microwave, oven and freezer safe.